We supply some of the best restaurants, bakers, greengrocers, butchers, farm shops, schools, wholesalers, hotels and much more within East Anglia. Our passion for the finest quality foods means we have many loyal and happy customers. As a family business we know all of these customers on a personal level and take great care and attention in all that we do. Our purpose built storage and packing facilities enable us to keep produce at its perfect condition to make sure that you get the best quality foods fresh from the farm. Being in the focal agricultural region of East Anglia we can tap into a wealth of locally grown produce, we know the origin of what we sell, when it was picked, laid or unearthed and ensure that it comes to you direct from the producer. 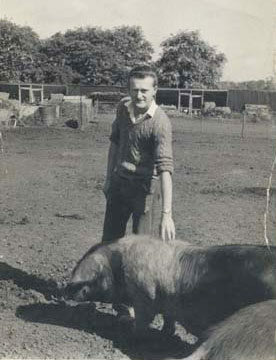 When he was young John would spend his break at school “ploughing” the playing fields. He’d get home and go straight out to help his father despite hardly being able to reach the pedals of the farm’s Massey Ferguson. 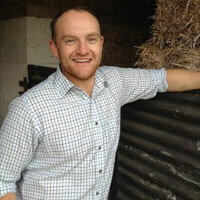 John has been working as a key member of the family business since leaving school. He has now taken over the reins and as the business grows, will continue to play a major role in all aspects of the business keeping up the consistently high standards of customer service that he is so proud of. With a large family Jennie was always out and about getting stuck in, she spent lambing seasons with her Uncle tending to orphans by the Aga, summers helping corn carting and winters in the kitchen with the family, cooking up a good hearty spread. 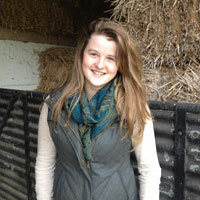 Her first job was at the local butchers where she was taught the importance of knowing the sources of your food. With a vast cheese counter and an entirely home-made deli on offer in the shop she was quick to learn many old fashioned techniques of creating pies and pastries. It was also where she met John. John soon asked if Jennie would come on board and help him with the business. She quickly picked it up and now does all manner of things from driving the forklift to managing accounts and checking deliveries. 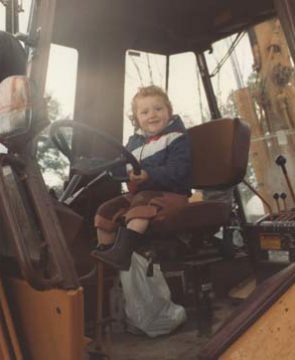 From the age of six Michael Jary knew it was his destiny to be a farmer, when his mother fell critically ill, Michael was brought up by his grandparents in Walsham-le- willows. 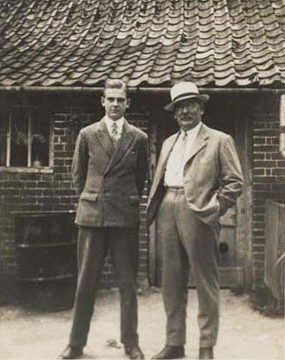 His grandfather Horace Clarke was an auctioneer and builders merchant as well as keeping livestock, so Michael got a taste of farming bred into him from a young age when it was regular practice to milk the house cows, feed the pigs and collect fresh eggs from the chickens. With no financial help he spent all his teenage years renting allotments and keeping as many animals as possible, while his friends were out in town he was transporting sacks of feed on a bike across the roads of Bury St Edmunds. Over time he managed to scrimp and save enough for a deposit on a small farm where he was able to keep many more chickens and pigs. This hard work and determination built a successful business of supplying fresh farm eggs to a multitude of customers all over East Anglia. With Michael wanting to retire, and his youngest son ready to take the reins of running the business, John left school and jumped straight in. Within three to four years working on the farm John knew that he wanted to concentrate his efforts on maintaining the level of customer service that the customers had come to expect from the family, whilst expanding the top quality products he could supply to his customers.